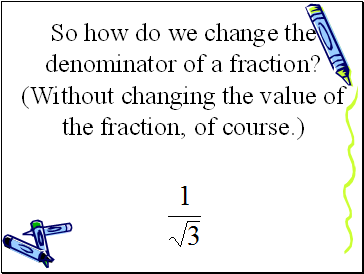 So how do we change the denominator of a fraction? 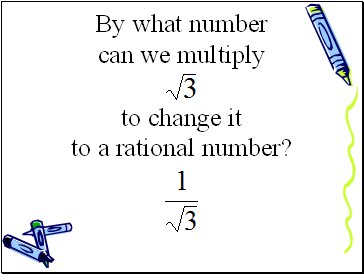 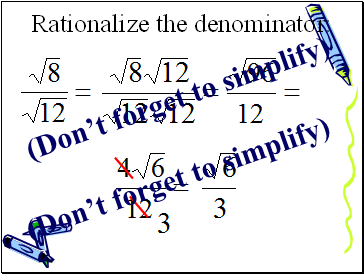 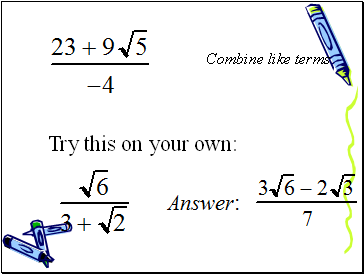 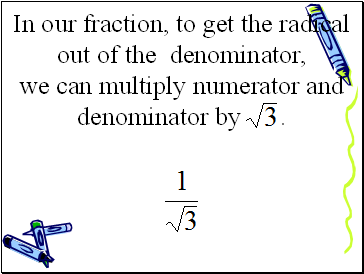 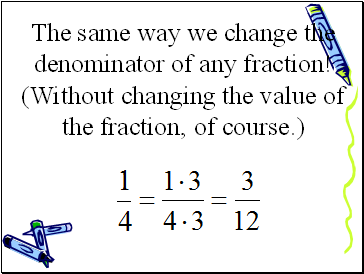 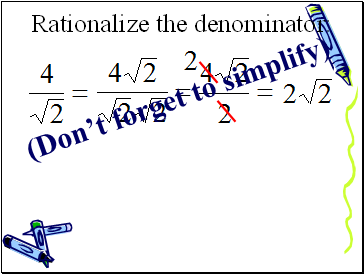 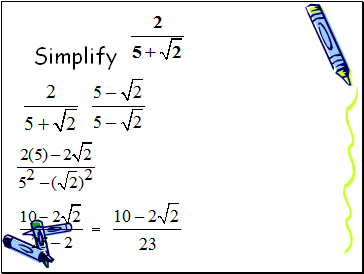 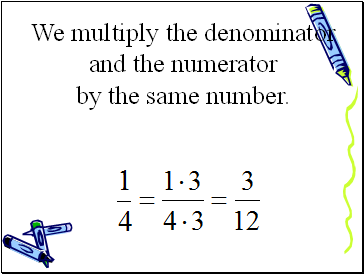 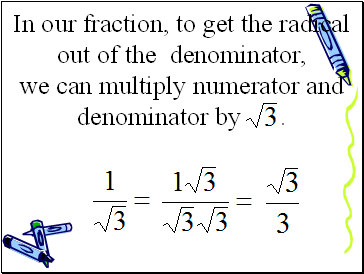 The same way we change the denominator of any fraction!
. 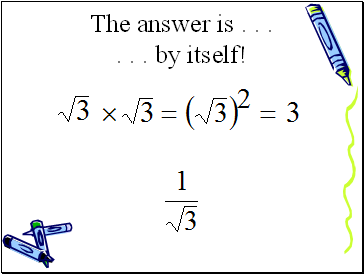 . . by itself! 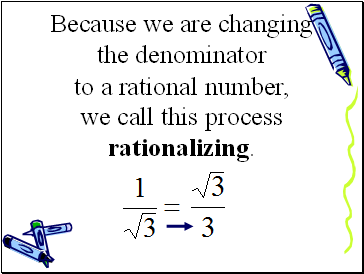 we call this process rationalizing. 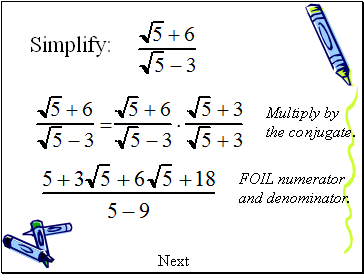 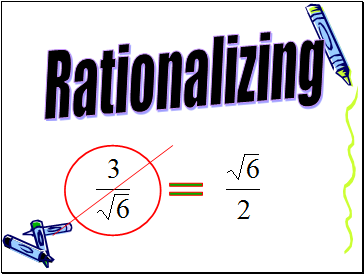 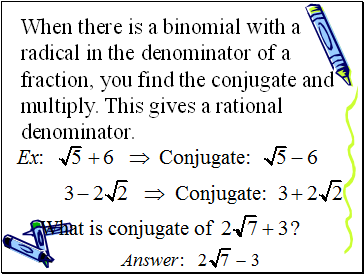 When there is a binomial with a radical in the denominator of a fraction, you find the conjugate and multiply. 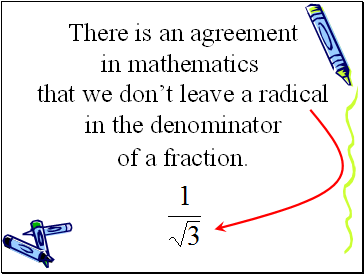 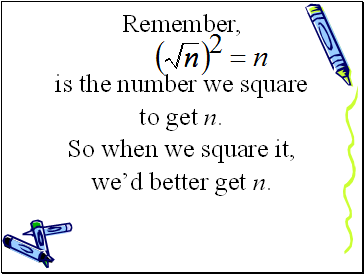 This gives a rational denominator.